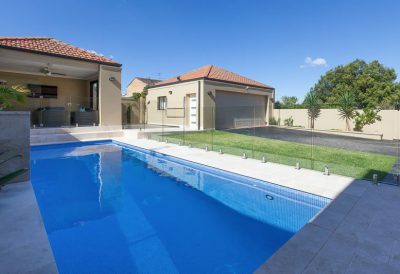 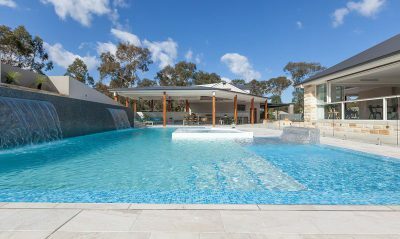 This unique Pennant Hills pool features a custom built concrete loveseat day bed for relaxing by the spa jets. 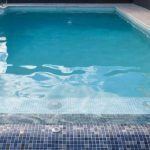 Mark selected white beach quartzon for the pool interior, creating a lovely contrast with the deeper blue tiles of the loveseat. 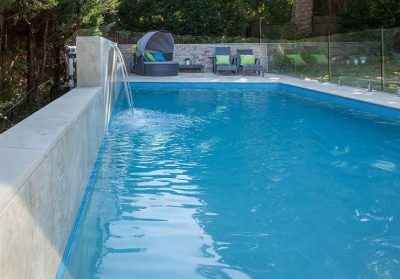 A curved sheer descent waterfall is also done in the contrasting tile and connects directly to the loveseat, creating a graceful wave design. 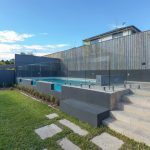 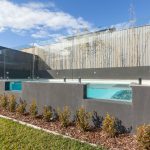 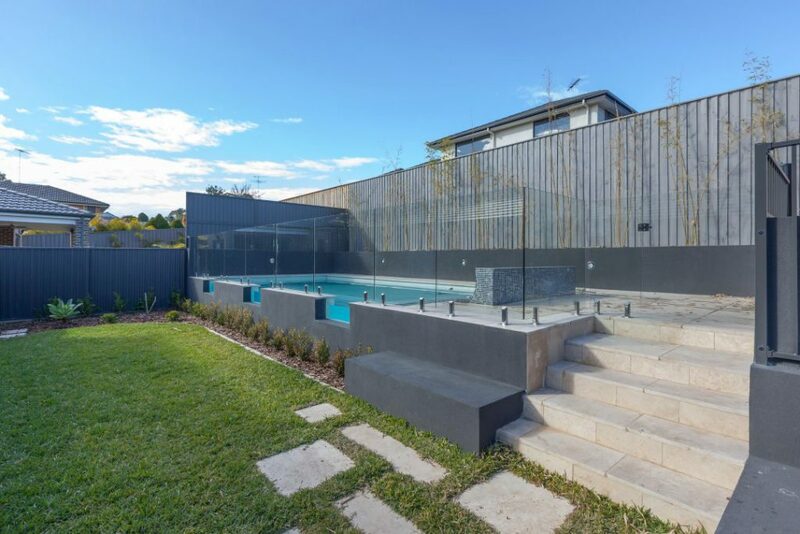 The pool coping width is 300mm and was designed to incorporate three glass viewing panels in raised walls to give a glimpse below the pool’s surface. 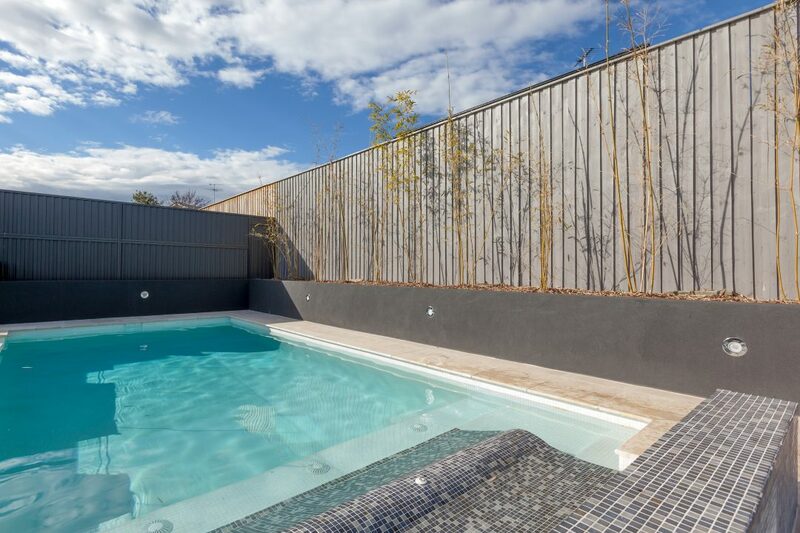 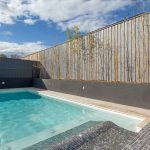 The pool surrounds include a retaining wall with inset lighting as well as bamboo plants across the back fence and additional landscaping along the retaining wall. 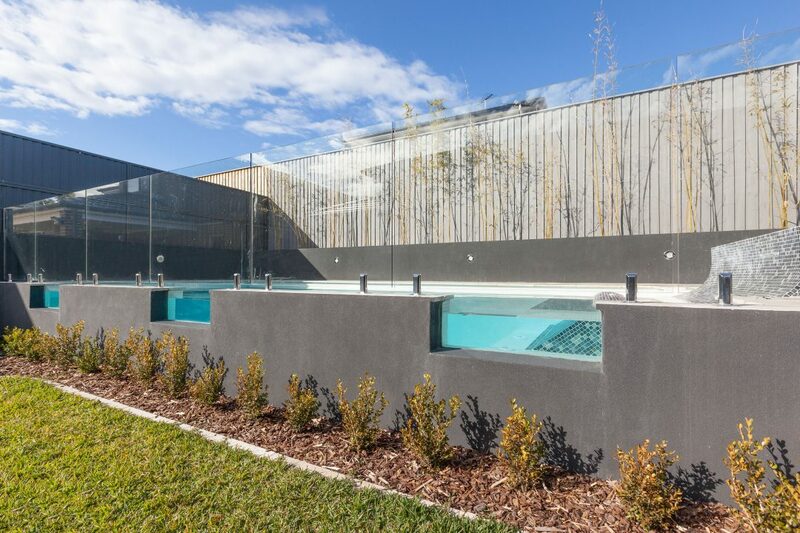 The pool design incorporates a mineral cleaning system to keep bacteria in check while reducing chlorine levels. 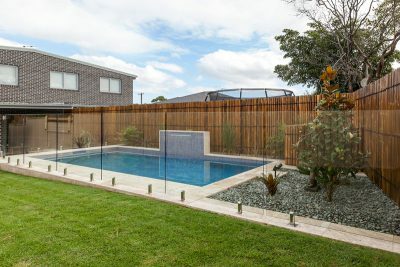 For ease of maintenance, this setup also includes a robotic cleaner.